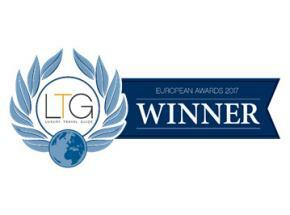 With only two and half years under our belt we are delighted to announce that Uniquely Scotland has won “Bespoke Tour Operator of the Year UK” at the highly renowned Luxury Travel Awards 2017 under the category 2017 Holiday & Tour Specialist Awards. The award programme celebrates excellence across all sectors of the affluent travel and tourism industry so we are chuffed to pieces to have been recognised. Back in 2013 when the company launched we wanted to distinguish ourselves from other Scottish tour companies by utilising our impressive array of contacts that allow guests to gain access to places that may otherwise be off-limits. Scotland has a wonderful blend of history, culture, beautiful landscapes and modern city life; we provide the ideal way to see these elements offering tailor-made holiday packages for private groups of up to six people, making for a more intimate experience. Our team is spearheaded by Archie, and this born-and bred local guide demonstrates his knowledge and passion for the country providing guests with a high-quality and authentic Scottish experience, in his own warm and friendly style. This style and service has proved to be a hit among our guests, judging by the lovely reviews we've received on Trip Advisor. We end 2016 on a high thanks to our wonderful clients and this truly gratifying award - onwards and ever upwards for 2017.